High-growth tech entrepreneurs pitched for a share of more than £25m backing when they took part in SETsquared’s annual Accelerating Growth Investment Showcase in London yesterday. (24 November). Twenty-two of the UK’s most exciting start-up businesses presented their innovative products and services for a range of sectors, including public transport, childcare, energy, life sciences, fashion and beauty, healthcare and event management software. Each company sought financial backing ranging between £150k and £10m from an audience of more than 200 investors and corporates at the event, held in Euston Square. Organised by the world’s number one university business incubator, SETsquared, who provided mentoring support and comprehensive pitch training, the showcase put its start-ups face-to-face with angel investors, venture capitalists, high-net worth individuals and corporate investors. Every company also exhibited at the event, with the founders available to meet investors throughout the day. It was the 13th showcase for SETsquared, an enterprise partnership between the universities of Bath, Bristol, Exeter, Southampton and Surrey. Simon Bond, Innovation Director at SETsquared, said: “Yet again, I was delighted and very proud to see huge enthusiasm and commitment from the companies that SETsquared supports at this year’s Accelerating Growth investment showcase. “There is a real appetite among investors to partner with SETsquared’s high-growth potential technology companies and their engaging pitches really created a buzz at the event. 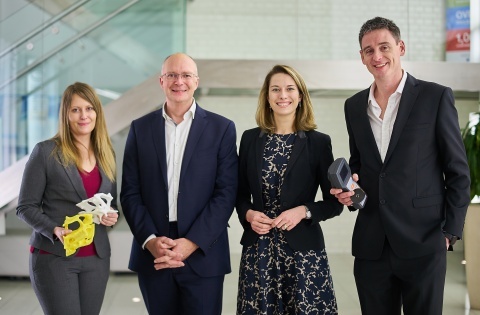 Four companies from SETsquared’s award-winning ICURe programme also exhibited their tech start-ups at Accelerating Growth. The ICURe programme offers university researchers with commercially promising ideas the opportunity to ‘get out of the lab’ and validate their ideas in the marketplace.